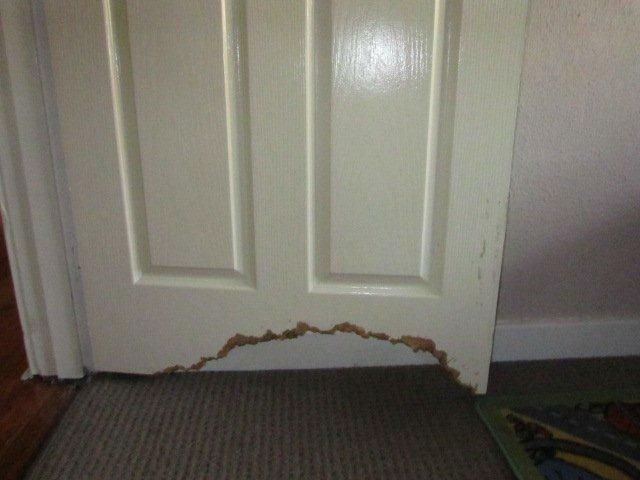 What Little Dogs Can Do Inside a Rental Property! “It’s not uncommon for an existing tenant to request permission for a pet during their tenancy. Landlords feel vulnerable and more inclined to say ‘yes’ when their tenant already has a track record for looking after the property and paying rent on time. However, a ‘new pet’ brings ‘new risks’, even if they are a mature pet. 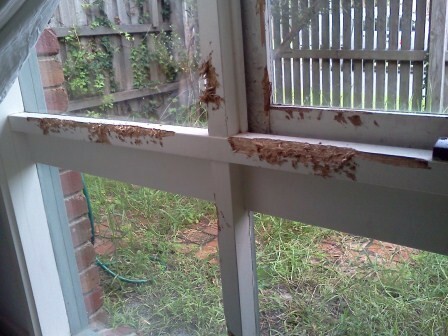 Here’s an example of what a “Whippet” did at a property where our property owner was made well aware of the risks but chose to keep her tenant happy. It’s not always going to end in tears and thankfully this was the extent of the damage. It could have been a lot worse!!! My handyman had ‘one up’ on the chewed door base. He worked for a client who looked after a dog (apparently for only one day!). One dog, one day in one house – every window!! This is what happened. So when a property owner says to me…”Well, how much damage can a dog do?”, this photo says it all. Thanks, Carolyn for your valuable input for this month, and some great photos.